Social media is a great way to share significant moments in your life, especially with friends and family who live far away. However, sharing news of your engagement is no ordinary post – you’ll also want a beautiful photo of your engagement ring. You’re allowed to be excited, the love of your life just proposed! 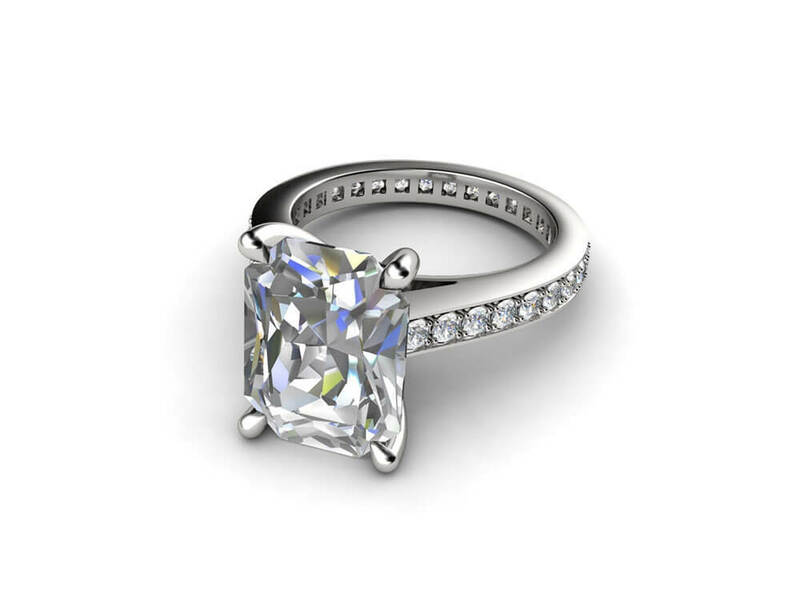 Here are a few tips to take a great photo of your ring for social media. While it might be tempting to grab your smartphone and frantically post a photo onto Snapchat, take a moment to think about how you want to spread the news. Apart from your closest family and friends who you’ll have told already, social media will be the first time many people in your life will hear about your amazing news and see your ring. Find a good spot, ask a friend to help, and even book a cheeky manicure. It all goes a long way to making a great photo. Hands aren’t always the easiest to photograph – snapping from the wrong angle can result in some less than flattering results. We recommend setting up your camera directly opposite the back of your hand. This way, whether you’re holding your hand up in front of a beautiful backdrop or laying flat, your fingers will appear elongated and elegant, allowing that solitaire diamond to truly shine. There’s no one way to take a good engagement ring photo. Instagram is full of creative ‘ring selfies’ where you can find inspiration for your shot. 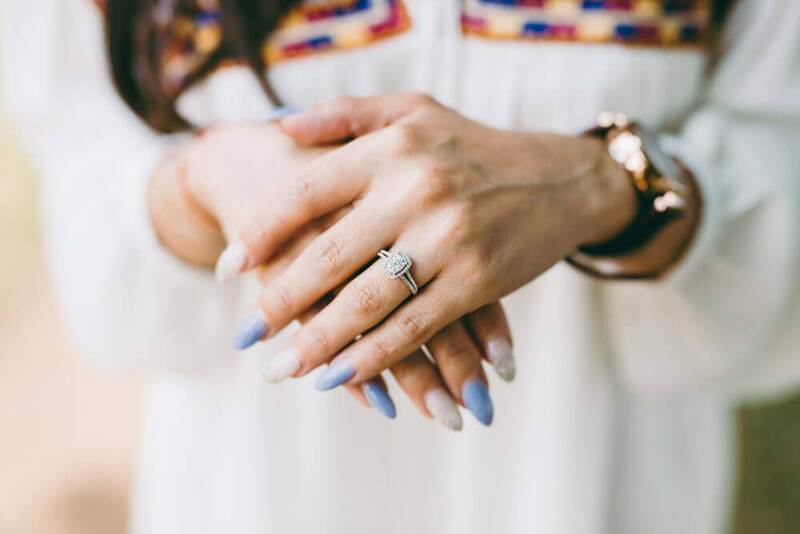 You could go for a minimalist approach with a simple background to highlight the details of your ring, or find a beautiful natural setting such as a park or beach to set the tone. Alternately, you can have a bit of fun with it and include your excited partner in the background, or go for a less obvious arrangement where the ring isn’t the main subject of the photo. No matter how much you love your ring, there’s no need to post a million photos of it. Just choose your favourite, and hit share!